Spanish lighting design/manufacturers Luz Difusion have created the Suomi suspension lamp. 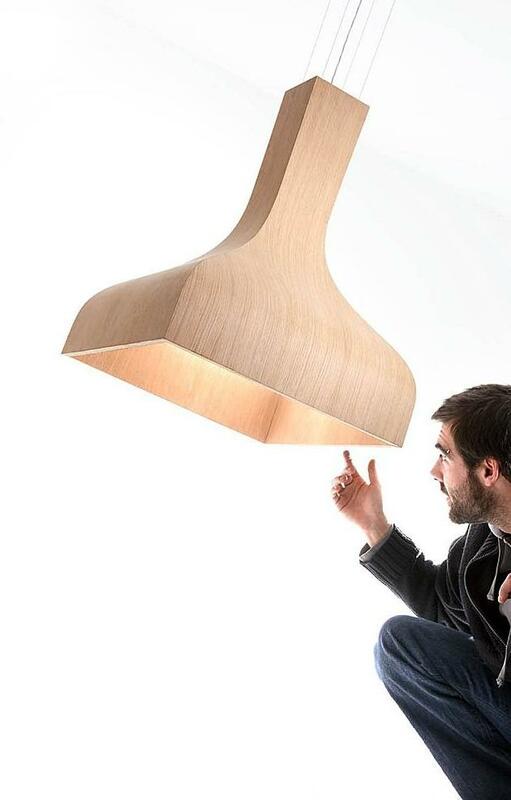 The Suomi lamp is made of 4 blocks of oak sheets, 2 cm thick, that are given a concave shape through the use of a mold. Each block is then laser cut to narrow it gradually from top to bottom. Finally the four blocks are glued together using a super resistant adhesive paste. A fire retardant varnish is then applied to the entire piece. Four steel cables pass through the interior to avoid leaving visible screws on the exterior. In this way we achieve a compact, seamless model, without joints or any other type of assembly. Visit Luz Difusion’s website – here.